The video game industry, if nothing else, is hit-driven. And, hits in the games industry—like hits in a fighting game— are just the beginning of a chain. A successful new IP is, financially speaking, an opportunity for a devastating combo. As a result, it is incredibly rare for successful games to not inspire countless sequels. New entries in the Call of Duty franchise arrive every year, without fail, as do new FIFAs, Maddens, NBA2Ks, and the list goes on. Ubisoft calls on the talents of a global community of developers to deliver new entries in series like Assassin’s Creed and Far Cry every year (or, almost every year). Even The Last of Us—considered by many to be the rare successful game that was better as a standalone experience—will soon receive a Part 2. This isn’t unique to gaming. It’s how the movie and television industries function, as well. The Marvel Cinematic Universe is a money-making juggernaut the likes of which the world has never seen before, and has inspired its fair share of imitators. (Remember the Dark Universe?) Spinoffs—from Frasier and Mork and Mindy to Grown-ish and Better Call Saul—have long had a place in TV lineups, and, as the networks hemorrhage viewers to streaming services like Netflix and Amazon Prime, rebooted series like The X-Files, Will and Grace, Murphy Brown and the short-lived Roseanne are increasingly common. The strange thing is that in video games, this fascination with sequels has mostly been relegated primarily to one side of the industry. While AAA publishers have chased sequels, independent developers have rarely followed up their successes. They have instead opted to make spiritual successors (think Playdead releasing Inside after the success of Limbo), genre-mates (Gone Home and Tacoma) or something completely different (Braid and The Witness). Despite the fact that a massive indie hit can make their devs millionaires (Stardew Valley’s Concerned Ape) or even billionaires (Minecraft’s Notch), the sequel bug has rarely seized creators in the indie space. In 2018, indie hits Overcooked and Guacamelee! received follow ups, and Super Meat Boy Forever and Spelunky 2 are on the horizon. While sequels are still by no means the norm in the indie space—compare the number of sequels in this list of upcoming indie games to this general list of anticipated 2019 releases and the disparity is especially evident—indie creators are returning to their IP more frequently. We spoke with Derek Yu (creator of Spelunky), Tommy Refenes (co-creator of Super Meat Boy) Jim Stormdancer (creator of Frog Fractions) and Graham Smith (co-founder of DrinkBox Studios, the team behind the Guacamelee! games) to find out why more indies are opting to create sequels from successful IP. From our conversations, we drew out two primary reasons—interconnected, but distinct—that indie sequels are becoming increasingly common. The mainstreaming of indie games began in earnest in 2008 with the release of The Behemoth’s Castle Crashers and Braid, Jonathan Blow’s time-manipulating platformer that sold well enough to make him, by his own estimation, rich. That process continued over the next few years with the release of Super Meat Boy in 2010 and Spelunky in 2012. This scene was really a loose collection of multiple converging movements that had existed for years; communities that had formed around freeware releases and/or on Flash game sites like Newgrounds. As these games sold like gangbusters, it was evident that there was a financial future for the creators of small, experimental games. That inflection point began more than a decade ago. In the time since, those developers haven’t released follow-ups to their work. Yu took a break from making games, became a dad and wrote a book about the design of Spelunky. Refenes and Team Meat co-founder, Edmund McMillen, split, with McMillen moving onto design his own games, The Binding of Isaac and The End is Nigh. Refenes, like Yu, hasn’t released anything since his breakthrough work. Despite his long absence, and despite the proliferation of titles in the roguelite genre that Spelunky established, Yu had big ideas he hadn’t seen implemented. And, with an exciting new project in the works—the collaborative throwback compilation, UFO 50—Yu felt comfortable returning to his roots. “Having UFO 50 definitely helps scratch that ‘I want to make something different’ itch, but I also had a long break between finishing Spelunky 1 and starting on the sequel, so I'd probably be working on Spelunky 2 regardless,” Yu said, via email. This was the case for Team Meat. Though Refenes said that he had a prototype for what would become Super Meat Boy Forever as early as 2011, he felt unable to pursue the idea. “In the nine years since Super Meat Boy's launch, six of those years were beyond my control when it came to production. 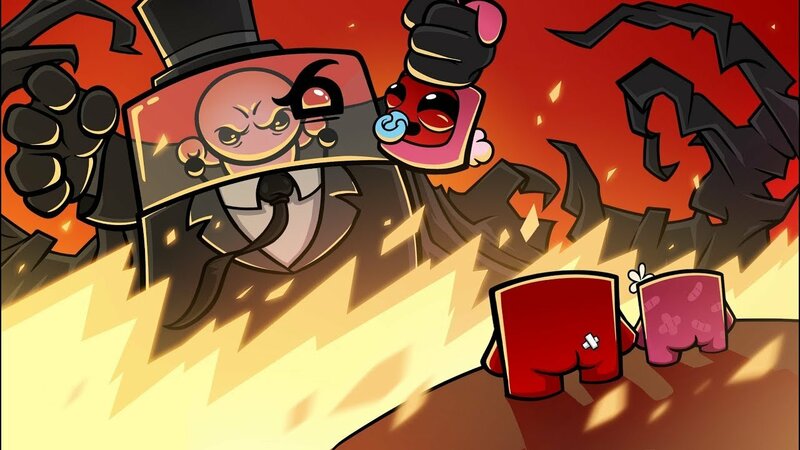 It wasn't until 2017 that I was able to re-start work on Super Meat Boy Forever and at that point I took it from what it was going to originally be and turned it into a completely different game still in the Meat Boy ‘universe,’” Refenes said. In short, while AAA production marches on regardless of the whims of individuals —for example, Assassin’s Creed Odyssey, which builds on many of the design ideas and story threads established in its predecessor, Assassin’s Creed Origins, was created by an entirely different team within Ubisoft—indie sequels are almost universally produced by the original teams (or at least by some key returning members). That means that indie games follow a more human pattern. Indie sequels aren’t produced until their creators are ready to return to them. Many indie studios — what Yu refers to as “Triple-I”— aren’t just loose assemblages of developers working on projects across the country from each other. These big indie studios (the Fullbrights and DrinkBoxes) function like larger developers, with brick-and-mortar spaces to rent and employees to pay. For these developers, the risk of a new IP isn’t always feasible. So, in part, the increase in sequels is the result of segments of the indie scene taking shape in ways that resemble the part of the industry that heavily relies on sequels. As these studios attempt to bring in revenue to keep their employees paid, like the AAA side of the industry, they look to release games that are likely to bring in a large audience. “Having shipped a number of games not called Frog Fractions that got basically no attention from players, having a known brand is huge,” said Stormdancer. But so is having an idea about what to do with that brand. 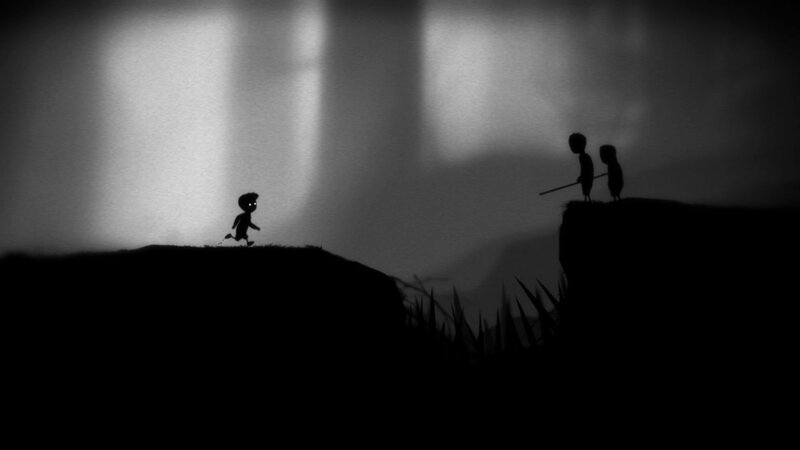 As Yu points out, indie games tend to be more concept-driven than technology-driven. DrinkBox felt that they had new ideas to introduce. After taking a break to make Severed, a mobile action game, the studio felt they still had plenty of concepts to iterate on in the world of their Mexico-inspired Metroidvania. 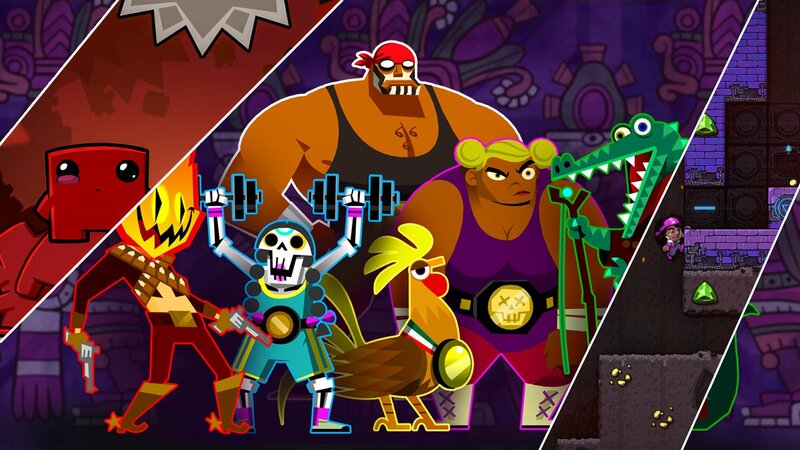 “At the time it felt like we had worked on Guacamelee! for so long that we really needed a break to work on something completely different,” Smith said. Stormdancer didn’t make any money on the original browser-based Frog Fractions. ”I actually lost money on it, mostly due to hosting costs,” he said. So, when the time came to release a sequel to his most famous work, he tried to thread the needle between releasing something that could pay his bills and putting out a follow-up that would not betray the subversive spirit that made the original game special. While Frog Fractions presented itself as a simple edutainment game, it quickly evolved to reveal its inner strangeness. As Stormdancer attempted to build on it, in a way that could actually make money, he started a crowdfunding campaign promising to stay true to the first game’s weirdness. “Part of the reason the Kickstarter worked was the audaciousness of not only refusing to do marketing, but deliberately hiding the game's existence — making you find it. That was a big reason people cared about it in the first place,” he said. Frog Fractions 2 arrived after a lengthy ARG, and when it [was] released, it wasn’t called Frog Fractions 2. Instead, the sequel was a game-within-a-game, hidden in a low-profile Steam release called Glittermitten Grove. As the indie scene continues to mature, we will likely see many more developers working through Stormdancer's dilemma — attempting to return to their roots without spoiling what made the games special in the first place. Though these decisions will often be financially motivated, it’s encouraging to see indie devs refusing to rest on their laurels, even if they are going back to familiar ideas. The indie scene will likely continue to grow, and will probably look much more like AAA in 10 years than it does now. But, we can only hope that bold new ideas will continue to drive the business of independent games.